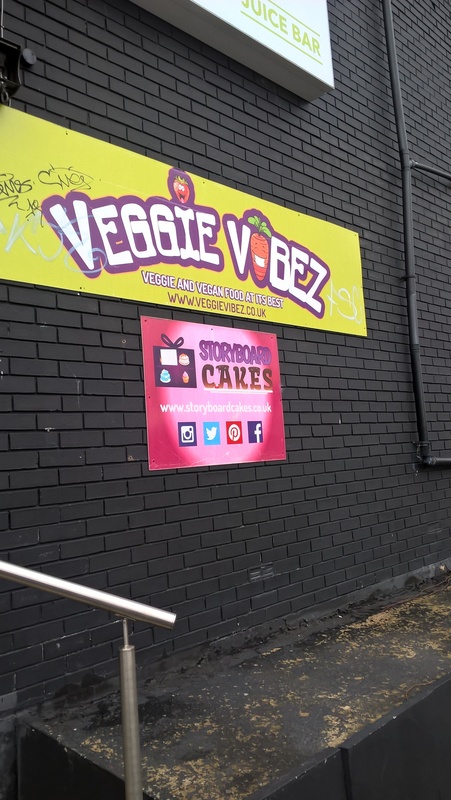 Veggie Vibez cafe in Ashton-under-Lyne is a great vegetarian and vegan eatery, which is well worth a visit. You will find this tiny gem in the Hot Yorganic building on the ground floor. Perfect for vegans and vegetarians in the area, the cafe sells delicious, healthy food with a focus on good quality and organic ingredients. You can expect a warm welcome from friendly staff, a nice choice of food with lots of vegan options and a range of cakes. They also make cakes for special occasions which can be ordered at the cafe. 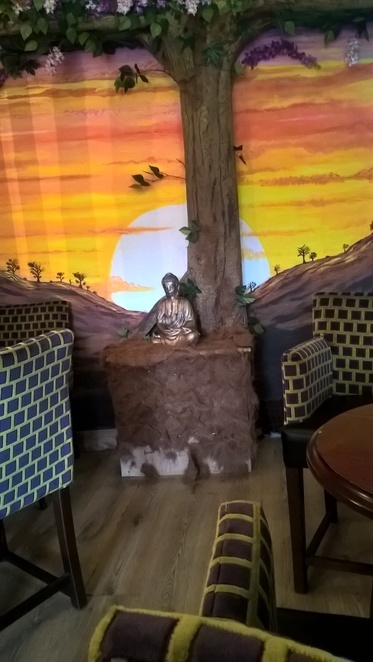 The cafe aims to inspire people to try vegan and vegetarian food whilst providing a relaxed atmosphere. The cafe itself is small with friendly staff and a nice range of dishes. The breakfast is a great choice and the falafel burger, one of the vegan options is delicious with the added vegan cheese, mayo and chilli sauce a recommendation from the staff. A must try is the hot chocolate made with vanilla soy milk, which may or may not change your life! 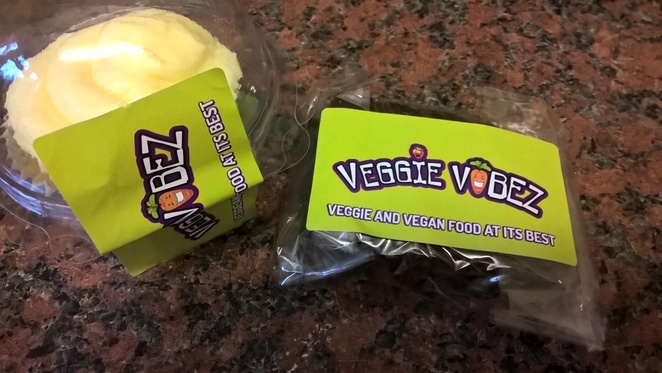 And don't forget about the cakes (all vegan), which you shouldn't miss -they make a great take out treat for all. This is a great place to visit for veggie food lovers. Those who also like yoga will appreciate that the cafe shares a building with a yoga studio, making it perfect for a healthy lunch before or after a workout. 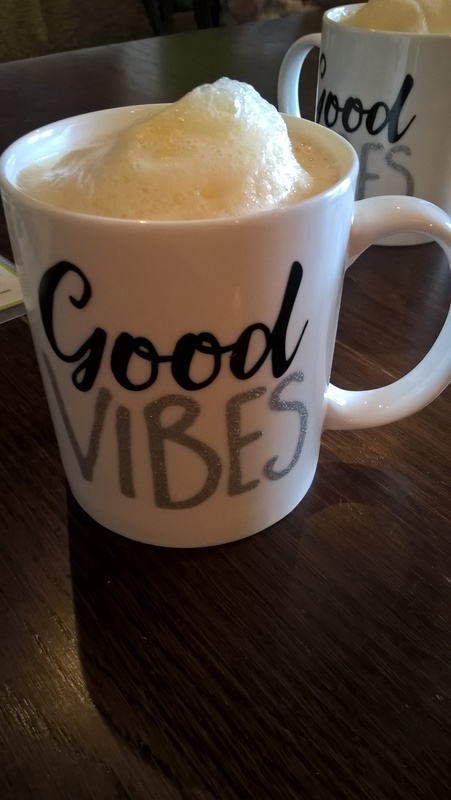 With few vegan options in Ashton-under-Lyne, this cafe is a great addition and I would recommend the food to everyone as it is simply delicious! This is the perfect place for a healthy filling lunch and the cafe also puts on regular themed food nights, such as Japanese cuisine and curry nights. Please note the cafe is cash only.